The automatic parallelization of irregular codes for massively parallel systems is a challenging problem of growing importance. 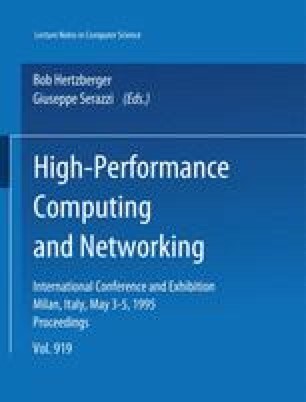 This paper describes techniques for processing irregular codes that are being implemented in the Prepare HPF compiler. Our work makes two contributions: (1) it constructs a library called Parti+ that is used for the runtime analysis of codes with runtime data dependent accesses to arrays with multi-dimensional distributions, and (2) it develops the appropriate compiler support allowing optimizations. The work described in this paper was carried out as part of the ESPRIT research project EP 6516 PREPARE and CEI PACT Project funded by the Austrian Science Foundation (FWF) and the Austrian Ministry for Science and Research (BMWF).